Where Are All the Women Superintendents? Of our nation’s 13,728 superintendents, 1,984 today are women. Yet 72 percent of all K-12 educators in this country are women, according to the U.S. Department of Education. Why then are there so few women heading school districts? Is there discrimination on the part of school boards and others involved in the hiring process? Or do women educators, for whatever reason, choose not to pursue the superintendency? During the 1990s, women continued to be the dominant gender in professional education as well as in university-based professional preparation programs for administrators. Even though the percentage of women superintendents has nearly doubled during the 1990s--from 6.6 percent to 13.2 percent--the vast majority of superintendents (87 percent) are male. A significant amount of attention has been focused recently on the role of women in the superintendency and principalship. Superintendent search firms have been more aggressive in identifying women candidates, while the gender composition of school boards gradually has shifted toward a more even distribution between women and men. Several books and an array of doctoral dissertations have examined women and the superintendency. So what accounts for the relative handful of women superintendents? What strategies might be used to attract and place more women in the superintendency? The two most widely cited reasons for the paucity of women in the superintendency are that women are discouraged from preparing for the superintendency and school boards will not hire them. There is a certain amount of truth to these reasons even though they are not supported by substantive data. Most of what exists on the subject consists of case studies that describe the individual experiences of women superintendents. The newest source of data that addresses this phenomenon is AASA’s recently published "2000 Study of the American School Superintendency." In AASA’s latest 10-year examination of the profession, women accounted for 297 of the 2,262 superintendents who responded to the 90-item survey. The analysis of this data lends insights on the lack of better representation of women in the superintendency. Answer 1: Women are not in positions that normally lead to the superintendency. Today, approximately 75 percent of elementary classroom teachers are women. Nearly 75 percent of superintendents did not teach at the elementary level prior to working as a central-office administrator or superintendent. Of the 297 women superintendents in the AASA study, 130 were former elementary teachers. Thus more than half came from a secondary background where men teachers are a considerable majority. Nearly all superintendents previously worked as building principals and a majority are former assistant principals. Therefore the ladder from the classroom to the superintendency often begins as an assistant principalship or as a high school department chair. Even though about two-thirds of the nation’s schools are elementary, a small percentage have assistant principals and almost none have department chair positions. Elementary classroom teachers have to jump straight from the classroom to the principalship--a difficult prospect in many districts despite the increasing size of elementary schools. Even so, more elementary teachers now are making the jump to the principalship after several years in a coordinating position such as in special education or from being team leaders in middle schools. Coaching activities traditionally have provided secondary and junior high teachers with an initial step toward administration. Athletic coaching and assignments such as band directorships often provide teachers an opportunity to demonstrate skills in leadership, management and an ability to work with community members. Today, most secondary schools sponsor at least six interscholastic sports for both boys and girls, which provides at least 12 head coaching jobs. A sizable majority of AASA study superintendents indicated they had a coaching assignment while working as a teacher or building administrator. Few elementary teachers have opportunities for head coaching assignments. 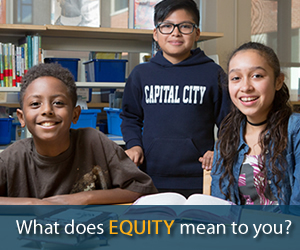 Answer 2: Women are not gaining superintendent’s credentials in preparation programs. Nationwide data indicate that women constitute more than 50 percent of the graduate students enrolled in educational administration programs. Women also are achieving the doctorate at comparable rates to male candidates. However, about only 10 percent of women in doctoral programs are opting to earn the superintendency credential along with their educational specialist or doctoral degree. I am unaware of any national data that show how many women, state by state, possess the superintendent certificate. Answer 3: Women are not as experienced nor as interested in districtwide fiscal management as men. Most data indicate that school boards, while claiming keen interest in the instructional program, see the management of fiscal resources to be a critical component of the superintendency. The AASA study showed that boards place a high degree of emphasis on budget and financial decisions by using skills and experiences in these areas as key hiring criteria. About half of the 297 women superintendents in the study had experience in the central office but very few had responsibilities in personnel and finance. Fifty-five had been secondary school principals, who typically carry more responsibility in management and budget than elementary principals. Most likely a majority of women central-office administrators are in curriculum positions. A third of the women superintendents indicated their boards had hired them to be a strong instructional leader. Only 24 percent of men said their boards had hired them to be primarily instructional leaders. Boards of education while saying that the instructional program is important do not want an inexperienced superintendent in fiscal management. This situation may be changing as many boards are now looking for superintendent leadership in raising test scores and meeting the requirements of state-mandated, high-stakes assessment systems. Several recent state studies have shown the number of women who are chief school business officials has substantially increased during the past 10 years. However, a sizable number of these administrators are not former teachers or administrators and thus are ineligible to become superintendents except in one or two states. Answer 4: Women are not interested in the superintendency for personal reasons. The average superintendent spends more than 50 hours a week at work, including night meetings and sporting events. This type of work week often is not appealing to younger women (or men) accustomed to child-centered teaching in elementary classrooms and to people who prefer a better balance between work and family life. The role of a mother probably restrains many women teachers from pursuing the principalship--a position they are well acquainted with. Women principals and central-office administrators recognize the time and pressure of the superintendency frequently interfere with family life and choose to spend non-working time with family rather than school board members and citizens. This is consistent with traditional gender socialization. Men, on the other hand, have been socialized to aspire to be a leader and to better provide status and resources for their families. Women who do become superintendents spend more years as classroom teachers before moving into the administrative ranks. Women administrators typically spend 7 to 10 years as a teacher while men spend about 5 to 6 years in the classroom. Some of this difference may be attributable to having children at home. More than half of the women in the AASA study indicated they felt the nature of the superintendency made it unattractive to women working as principals and central-office administrators. Superintendents are not usually hired from within and have three superintendencies during their career of some 15 to 17 years as the school district CEO. This means the superintendent’s family will be making perhaps four moves after she or he leaves classroom teaching. Many female building administrators may perceive it difficult to move into the superintendency if they are confronted with the problem of a trailing spouse. 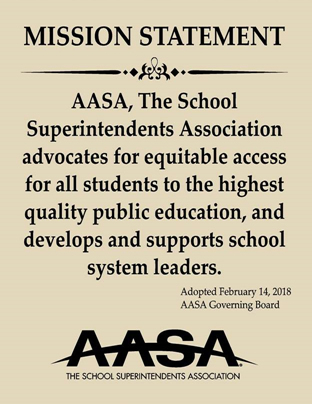 In the AASA study, both men and women superintendents believed mobility has decreased in the superintendency due to the problem of spouses with their own professional careers and state retirement systems that don’t permit portability of pension benefits. Answer 5: School boards are reluctant to hire women superintendents. Most school boards still contain a majority of men, according to the last two 10-year studies by AASA. Women superintendents perceive some restrictive forces working against them being hired by boards. Nearly 82 percent of women superintendents in the AASA study indicated school board members do not see them as strong managers and 76 percent felt school boards did not view them as capable of handling district finances. Sixty-one percent felt that a glass ceiling existed in school management, which lessened their chances of being selected. Interestingly, about 43 percent of the male superintendents agreed that school boards tend to view women as incapable of managing a school district. Women also seem to have a less-developed mentoring system compared to men. This is important since mentors many times act as go-betweens among superintendent candidates and school boards. Mentors also provide in-district mobility opportunities for women aspiring to the superintendency. Answer 6: Women enter the field of education for different purposes. Elementary school teaching traditionally has been a preserve of women. Along with nursing, teaching long represented one of the two most accessible professions for women, who until the recent past were largely excluded from such professions as accounting, dentistry, medicine, engineering and law. Women now entering the teaching profession perhaps possess a higher motivation to teach children than in the past. For women interested in management and organization leadership, more lucrative positions are available in the private sector, which pays significantly more than public school administration. Women aspiring to be leaders or managers no longer are locked into nursing and education. The point here is that women today who choose to enter education as a career may want to be teachers, not administrators. This may be the single most important reason why women candidates for the superintendency are so few. Answer 7: Women enter too late. As already mentioned, many women teach in the classroom for more years than men. Other women take several years out for child-rearing. The result is that many women enter the process of moving through the "chairs" to the superintendency too late. AASA’s 10-year studies always have shown that women superintendents are older than their male counterparts with comparable years in the superintendency. For most superintendents there are three positions (or chairs) to move through to the superintendency (assistant principal, principal and central-office administrator). Most men start the process at about age 27, which is not true for women who later move into the superintendency. The latter usually make their break from teaching into the first administrative post in their early 30s. Many potential women candidates for the superintendency might reach the central office in their early 50s and really don't want to proceed further or move into a new career since retirement is just four or five years away. Strategy 1: Change the nature of the superintendency. School boards everywhere are finding greater difficulty attracting qualified applicants for vacant superintendencies. Work pressures and time demands simply are discouraging many principals and central-office administrators from becoming superintendents. 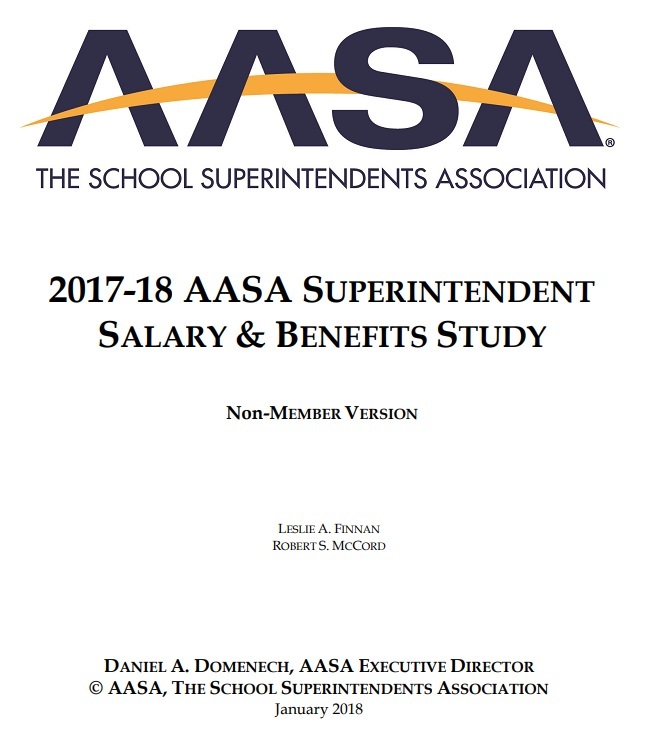 The AASA study of superintendents found the two most difficult problems they face in their jobs are time and money--not enough time to get things done and not enough money to get them done with. More funding for central-office administrators likely would take much of the pressure off superintendents and free more time for critical tasks and family life. However, many boards think the existence of central-office administrators only serves as a red flag for critics of the district’s budget. Teacher unions also publicly pressure boards to spend the money they are "wasting" on central-office positions instead at the building level to lower class size. 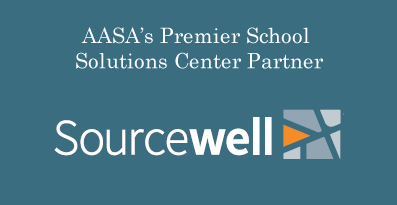 A cadre of well-trained central-office administrators not only would help change the workload for the superintendent but also provide a well from which to draw future superintendents. It is very likely that more women would be attracted to the superintendency if the oppressive workload was altered. Strategy 2: Boards should make it possible for women superintendents to excel in what they like to do. School boards should allow women superintendents to spend a greater degree of working time in the field in which they gain the most satisfaction. For many, this probably would come in the area of curriculum and instruction. 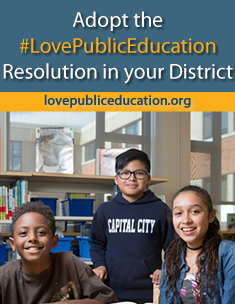 Board expectations regarding day-to-day budget and fiscal management should be shifted to an assistant superintendent with perhaps more external monitoring than exists now in most districts. More hands-on activities in the instructional program by superintendents probably would benefit greatly any district trying to improve its performance on state-sponsored, high-stakes testing. Strategy 3: States and higher education institutions should provide incentives to women to gain the superintendent’s certificate. State-funded yearlong superintendency internships would allow many women administrators to gain a close view of the position. In the AASA study, both men and women superintendents said they gained a great deal of personal satisfaction from their jobs. The use of carefully chosen mentors might well be influential in attracting superintendent interns into the profession. 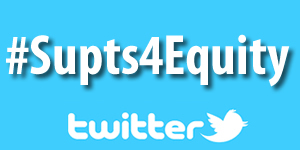 Strategy 4: Districts and search firms should be rewarded by states for hiring women or minority superintendents. Financial incentives might be given by states to schools districts that hire women or minority superintendents. One possibility: a grant equal to the first-year salary. Tom Glass is a professor in the department of leadership at University of Memphis, 113A Patterson Building, Memphis, TN 38152. E-mail: tglass@memphis.edu. He was the primary author of AASA’s last two 10-year studies. 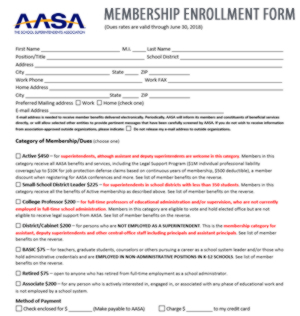 The 2000 Study of the American School Superintendency is available from AASA's online store.